• The revolutionary Genie Bi-Energy system combines the quiet, emission-free and efficient operation of a 48V DC machine with the versatility of a diesel powered generator to provide a boom that is ideal for indoor and outdoor applications. 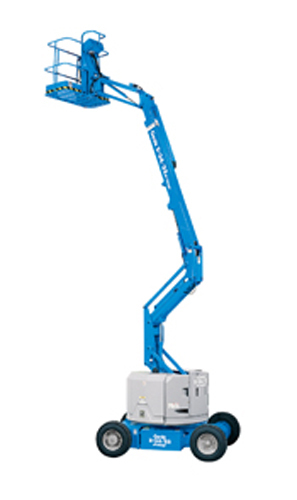 • Both models operate with the all-new Sep-Ex 48V DC drive system. The Bi-Energy has the added feature of an on-board diesel powered generator. 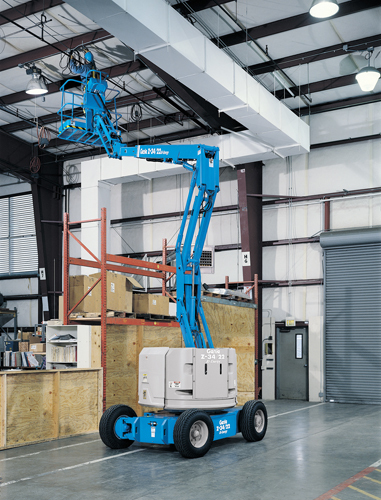 The generator acts as a 100 amp battery charger to provide enough electrical power to operate all boom functions even when the batteries are fully discharged. • The Sep-Ex drive system allows maximum drive performance resulting in 30% gradeability and 6.4 km/h (4.0 mph) travel speed. • The Sep-Ex motor controller eliminates the need for forward/reverse contactors or speed sensors. This reduces complexity and improves the reliability of the drive system. • The direct electric, 48V drive system provides outstanding battery life when not using the engine generator. • An on-board 25 amp AC charger is standard to provide a means for overnight charging.